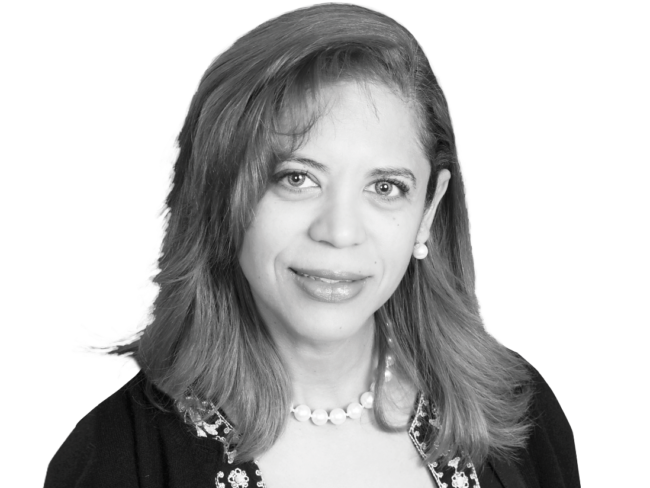 Dr. Mayra Oberto-Medina believes that each time she meets a customer, she leaves a little piece of herself with them and gains knowledge and insight from every interaction. Each customer is a learning opportunity, which keeps her growing as a provider. She truly enjoys hearing her customer’s stories; it is very rewarding. Dr. Oberto-Medina helped create the infusion program at North Memorial Health Clinic – Fridley and is the lead clinical Rheumatologist. The program was designed for management of complicated disorders such as rheumatoid arthritis that is resistant to conservative treatments like drug modifying agents. Musculoskeletal ultrasound, performing injections for carpal tunnel, trigger finger and multiple joints if conservative treatments including physical or occupational therapy do not work. Pediatric rheumatology and is comfortable with children 5 years or older. She enjoys working with complex cases. Her special areas of interest include Lupus, Scleroderma, Rheumatoid arthritis, Psoriatic arthritis, Sjogrens, osteoporosis and more. Dr. Oberto-Medina’s uncle was her pediatrician when she was a little girl and from a very early age she knew that she also wanted to become a doctor. As a caregiver to her parents, she has learned to navigate the medical system and understand what it is like to be in a customer’s shoes. Her and her husband enjoy spending their free time outdoors; sailing, snowboarding and skiing. When she goes outside for a run, she is usually accompanied by her two dogs who love the exercise.